Ingenuity for the main points of light in each room. Designs designed and cared for to light your house. 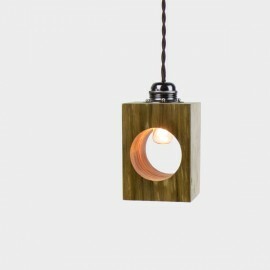 Die-cut wood lamp with bulb inside. Simple and charming, Luna is ideal to imagine and dream in rooms for children. 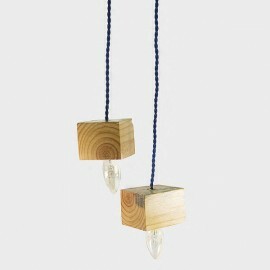 Hanging lamp with two light bulbs made of reused wooden blocks with nice texture in wood.Ideal to dress with originality those bare corners of your home.